Do you spend a lot of time entertaining your friends and family on your patio? If the answer is yes, then you know exactly how important it is to have the right setup. Because let's face it, no matter how nice the weather, nobody wants to hang out on an uncomfortable and uninviting patio. This is where patio furniture comes into play. Furniture is not only important for your interior spaces but it can also help transform your outdoor spaces. 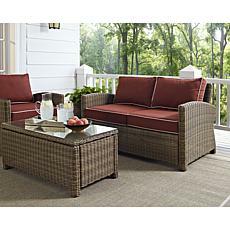 With the right patio or garden sofa, you and your loved ones can put your feet up and relax in style and comfort. Whether you're going for an informal look or a dressed up space, HSN has an outdoor sofa that can help make the most of your patio. 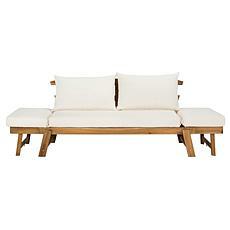 Host everything from delicious dinner parties to casual kickbacks on a wicker loveseat or a hardwood three-seat sofa. Are you ready to take your patio to the next level? We are here to help. 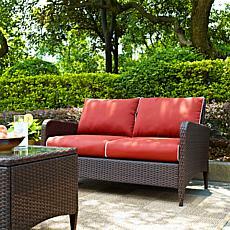 Check out our collection of patio sofas today, and take the first step toward making your outdoor space the talk of the neighborhood.